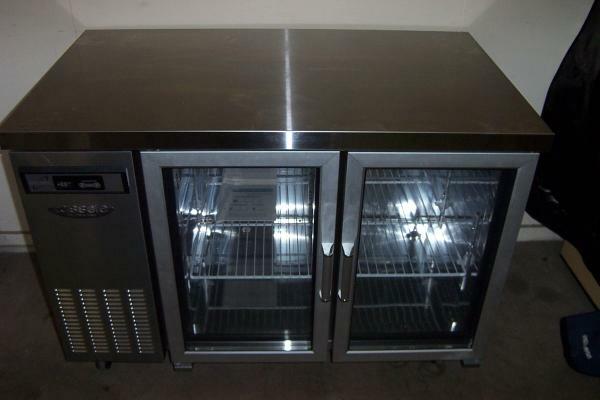 Lassele 2 glass door underbench refrigerator. Model LTR1271. Capacity: 300L. Dimensions: 1200W x 700D x 740H. Stainless steel interior and exterior. Optional height of 895mm. Stainless (304) worktops available on request. Mantova Stainless Steel Clearing Trolley. 3 fixed shelves with100mm brake castors. Dimensions: 950W x 500D x 942H. 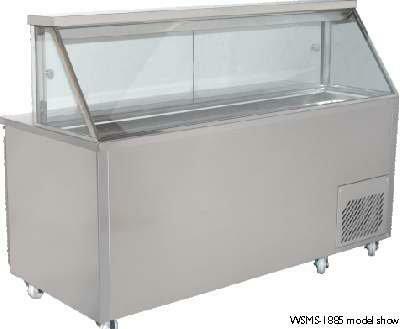 Woodson Sandwich/Salad Preparation Bar with blown air well. Stainless steel interior and exterior. Model WSMS.1330. 2 doors under, 2 x 1/3 pans and 10 x 1/6 pans.